One of the things I enjoy most about being a user researcher is the chance to collaborate and learn from other colleagues. 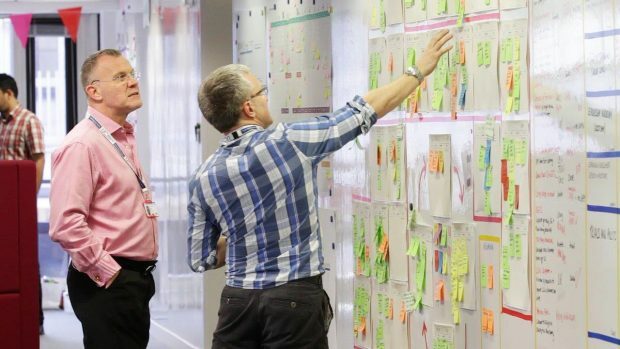 In DWP we have a large team of user researchers working on different projects in agile teams across the country. But even though we’re not based in the same location we often work together to share ideas and knowledge. Recently, my team and colleagues in a different team in Leeds were tackling research problems with similar groups of users. Our project’s objective was to improve users’ understanding of the term ‘terminal illness’ related to a digital service. The team in Leeds were also gathering insight from users with a terminal illness for a different service. This was a great opportunity for us to collaborate on user research across teams and learn from each other before testing our designs. This allowed us to use each other’s learnings to create an experience that fits different user needs and user journeys. Advice from user researchers such as Neelam Shetye from Atlassian recommends setting ground rules when collaborating with teams in different geographical areas. This would normally be sound advice, but it was not appropriate for our situation because the way the two services were going to be used was different in each case. As a result, we did not set any ground rules, instead we approached collaboration with an open mind. This allowed us to challenge each other’s design iterations. Throughout our project, we challenged what we perceived to be assumptions of the other team. We didn’t replicate the exact same approach taken by the team in Leeds because details in each of our design prototypes were different. 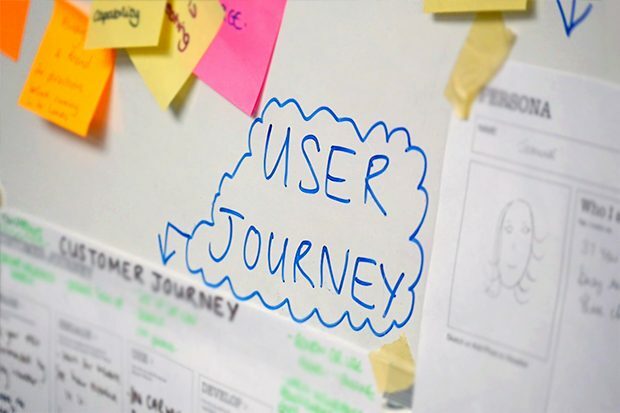 As a result, we learnt and adapted to what worked best for our user journey. Regular communication with the other team was important to ensure that we learned and iterated quickly. We tried to share the findings after each iteration via Slack or a quick phone call. The UX designer and content designer in our team participated in every research session, which made the iterative process a lot more efficient. After each session, we would get together to discuss what we learnt and which change could be tested next. What we thought would be a ‘quick win’ (a small piece of work that needs minor changes) soon became bigger. Whenever we made a change and showed the prototype to users, we learnt something new. That pushed us to create another iteration. In the end, we realised that there was no ideal solution. It is more important to implement something before it's too late rather than wait for perfection. We knew what we had was better than the existing solution, even though it might not be ideal. Working in this way reinforced that when different teams are tackling similar topics, working together and sharing knowledge is crucial to help us make progress faster. More importantly, collaborating with our colleagues in Leeds helped us make the most of the precious time we got with our actual users. Working in this way with other teams will no doubt help us in the future and is something we plan to do much more often.